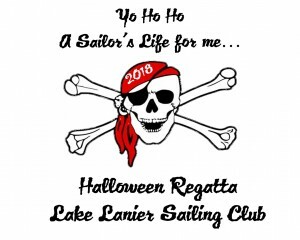 Lake Lanier Sailing Club’s ever-popular, annual Halloween Regatta returns on October 27-28, and this will be the spookiest year yet! 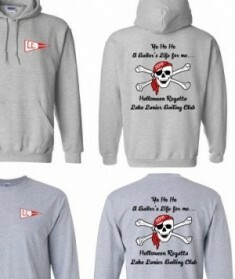 This event is open to all boats, (PHRF, One-Design, Portsmouth, Multihull, Juniors). Juniors race Saturday ONLY! There will be lots of activities on Saturday evening, so plan to stick around after you race! Children’s activities include a trick-or-treating hayride through the cabin colony, a bouncy house, and a costume contest with prizes. There will also be plenty of post-race fun for adults, including a costume contest, signature cocktails, and live music. Dinner will be offered Saturday evening, and this year, all full-price regatta registrations will include one adult dinner/beverages ticket. Full details will be available in a forthcoming, updated NOR. Come ready to race and have fun…if you DARE!